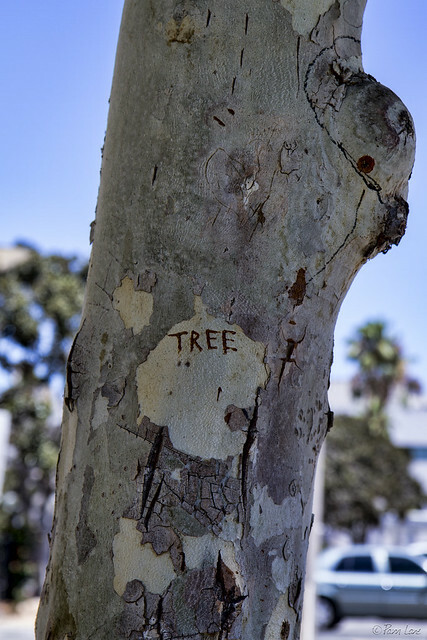 Downey Daily Photos: Trees for dummies? At a loss for words (or initials)? A dozen captions came to my mind when I saw this tree carving recently. Let's call a spade a spade? Back to basics?